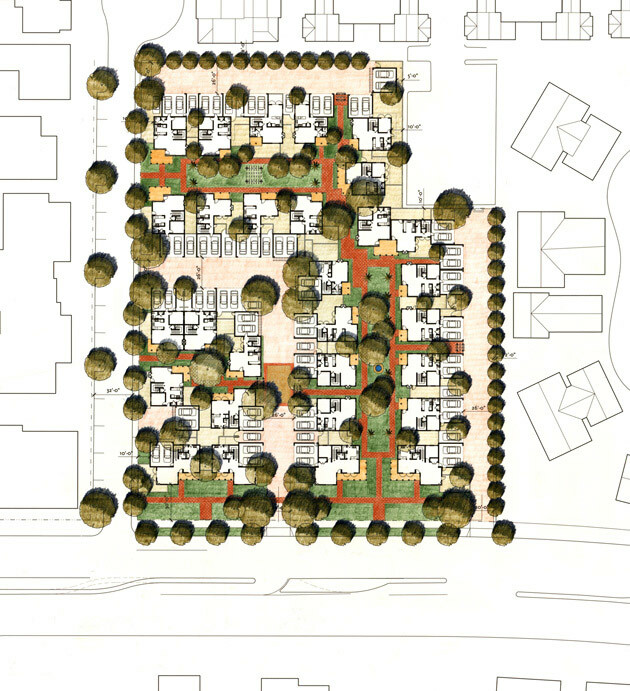 Duarte Courts consists of 24 detached and five attached cottages in various configurations on a 2.5-acre site. All but two are organized around two linear garden courts. 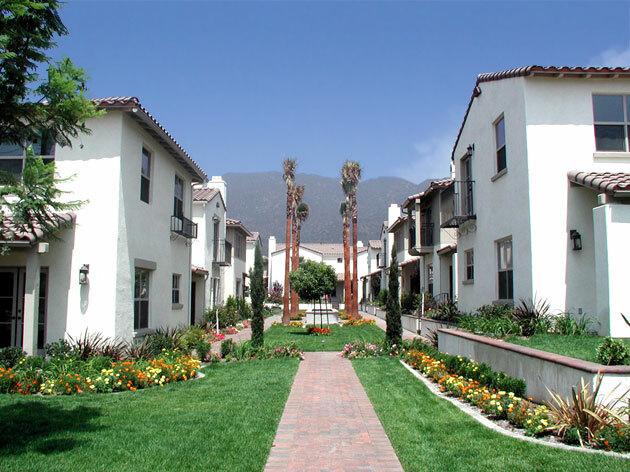 Trees, fountains and various landscape elements create rich courtyards that provide access to the units through front porches while paseos and walkways connect the various public open spaces. Windows and balconies overlooking the courtyards create a sense of security and enhance livability.